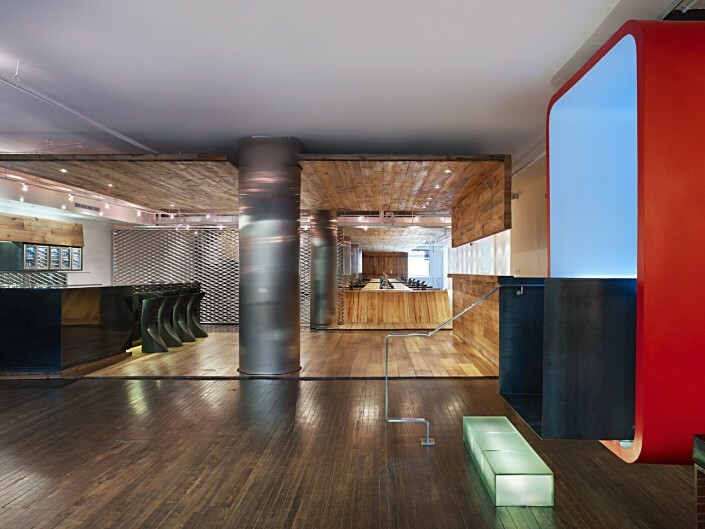 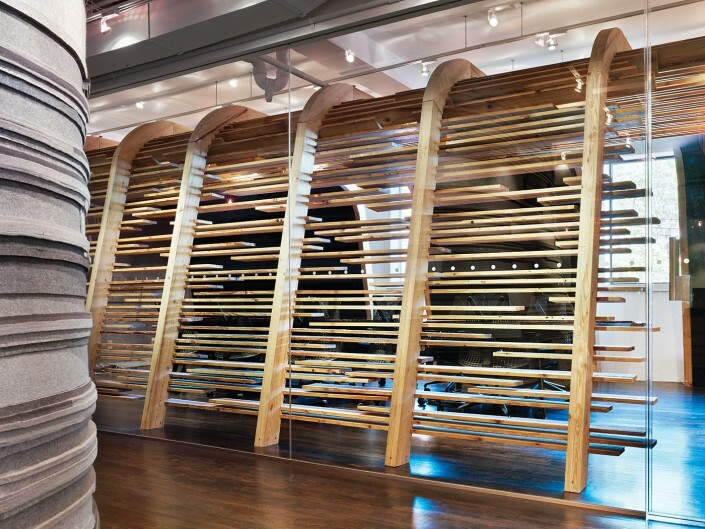 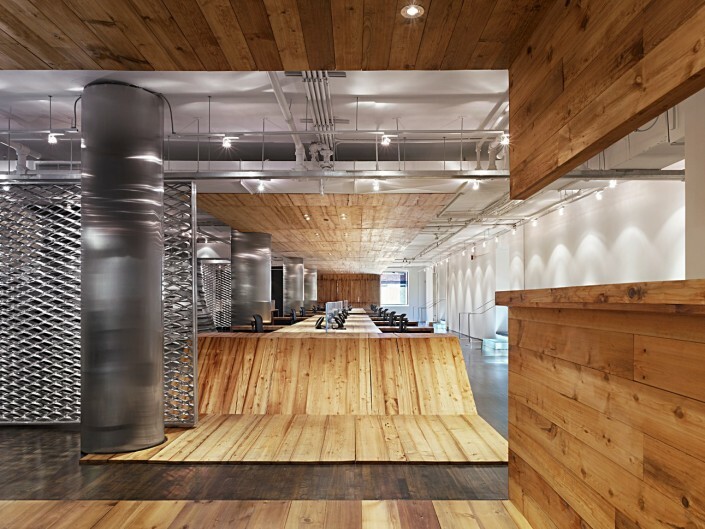 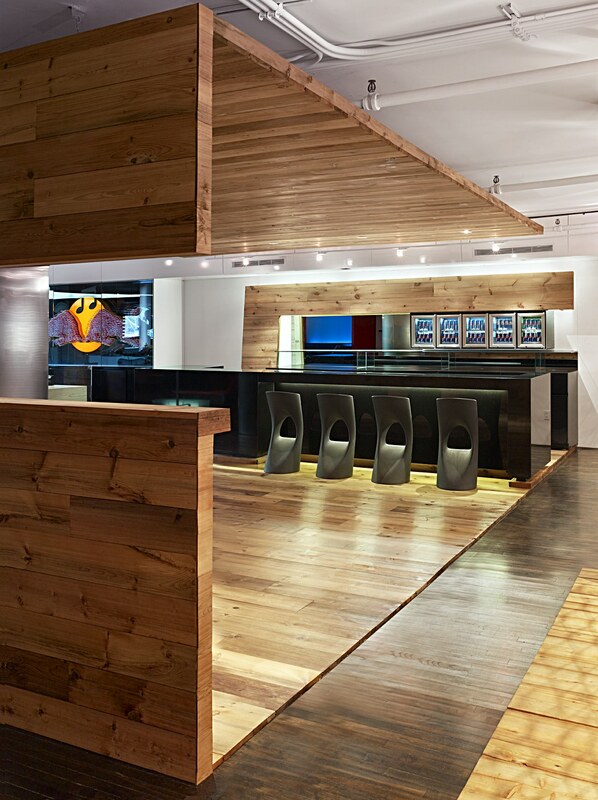 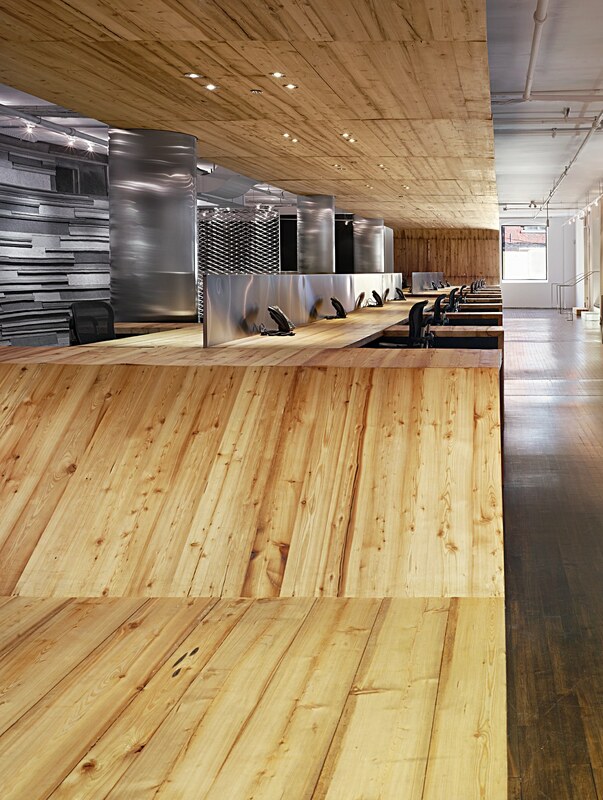 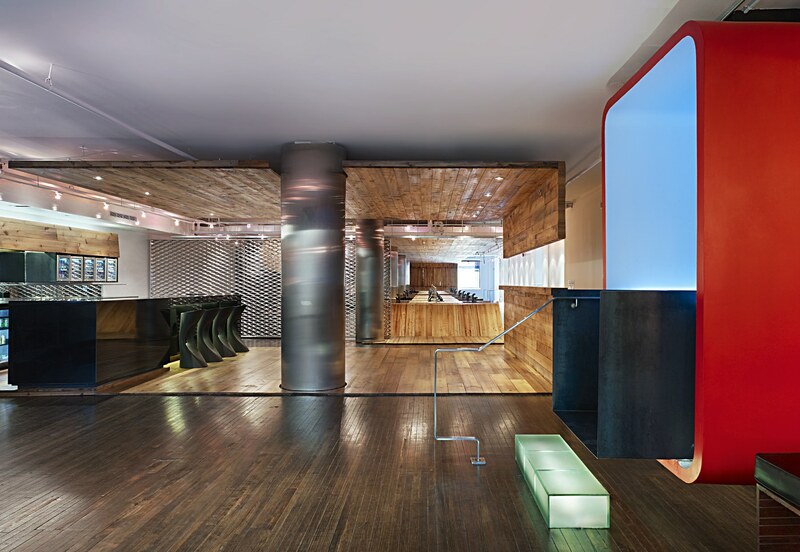 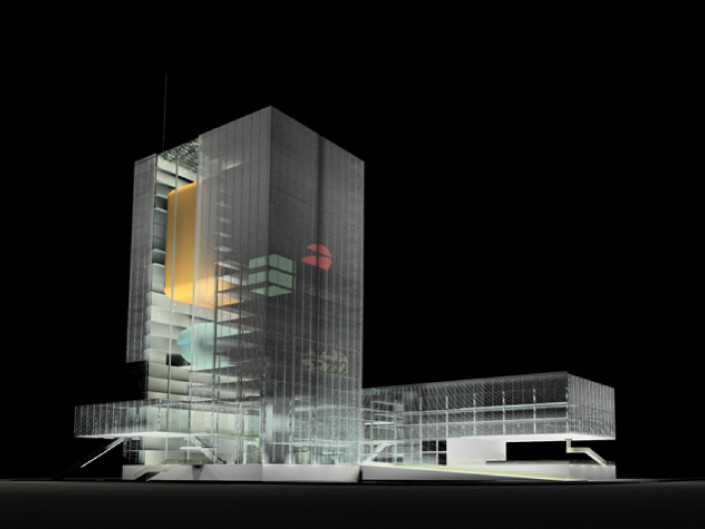 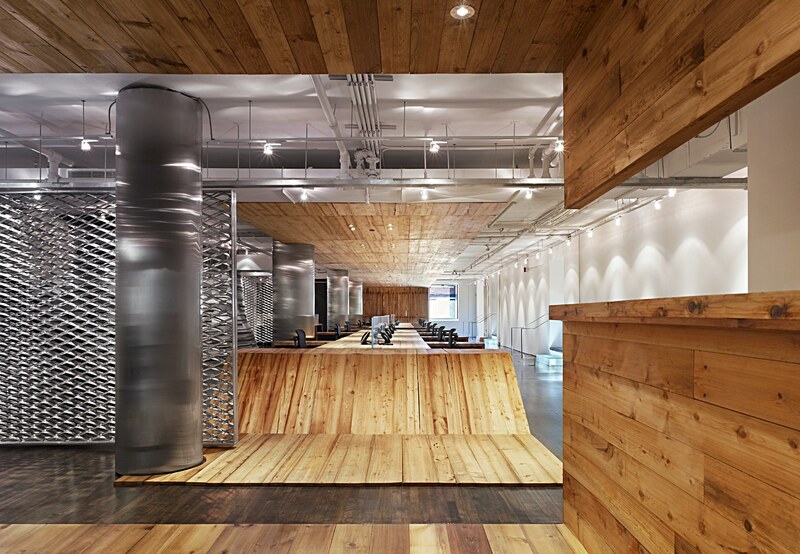 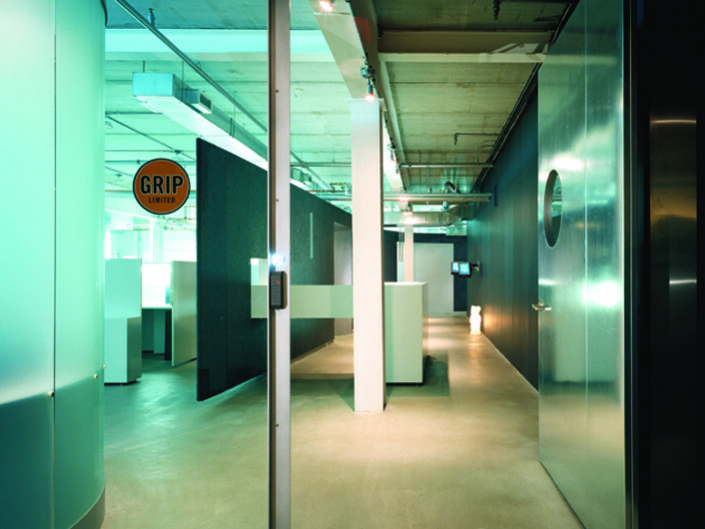 This project is a 5000SF expansion to the original Red Bull space recently completed by the designers in August 2010. 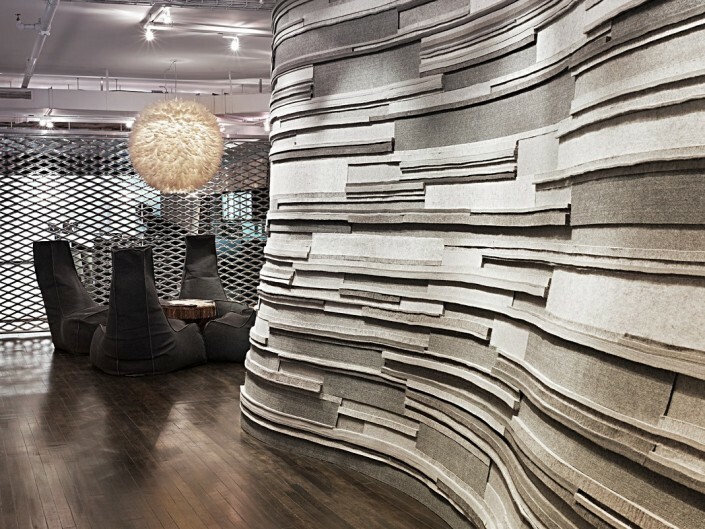 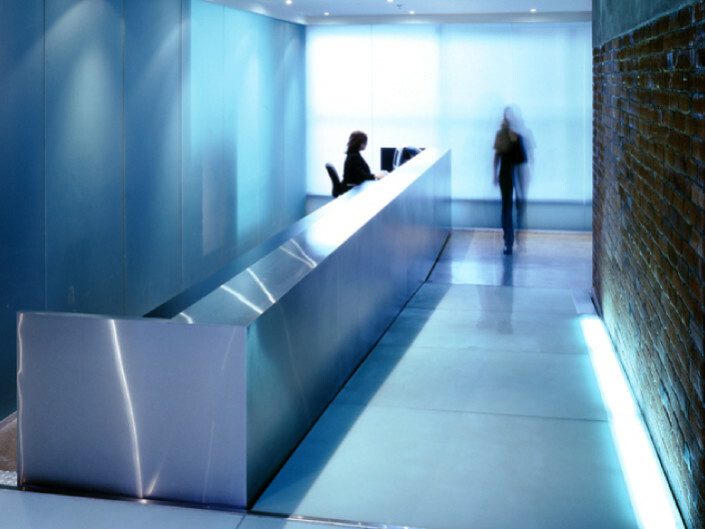 The client’s brief was essentially three-fold: to create a space consistent in concept and form to the original yet be a reinterpretation of it; that the space be inspiring for staff in administrative/accounts who are normally relegated to bland, impersonal spaces; and that the predominant materials be that from a reclaimed source. 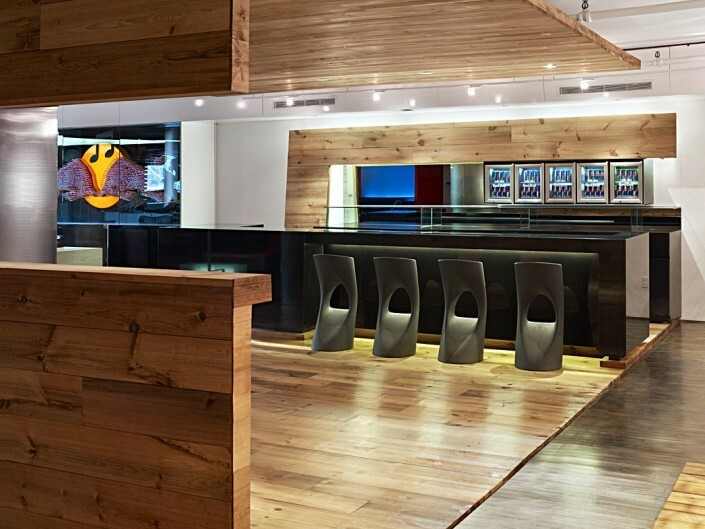 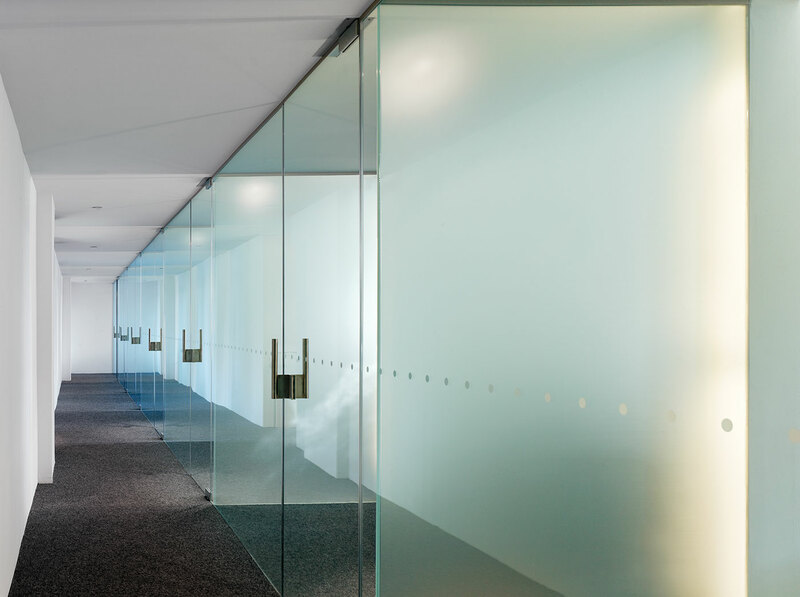 The expansion extends the Red Bull space to the south of the existing building, comprised of a bar and lounge area, open workstations, meeting areas, boardroom and private offices. 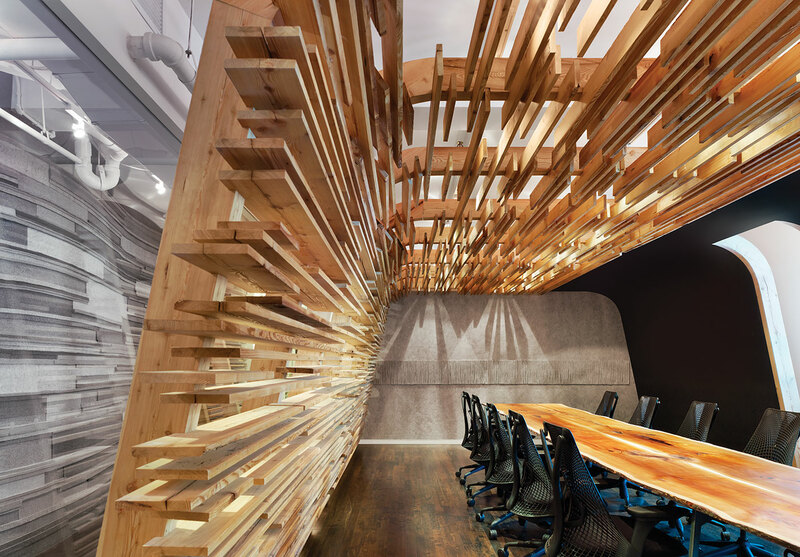 Continuing the narrative or architectural concept of vessels for transformation, the design focuses on four main components: a bar/lounge area, a linear open workstation concept, a wool felt-clad form and a boardroom. 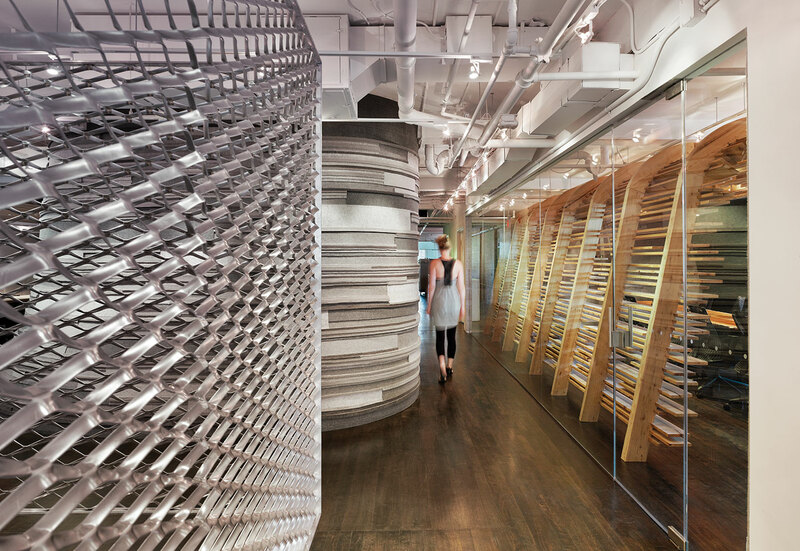 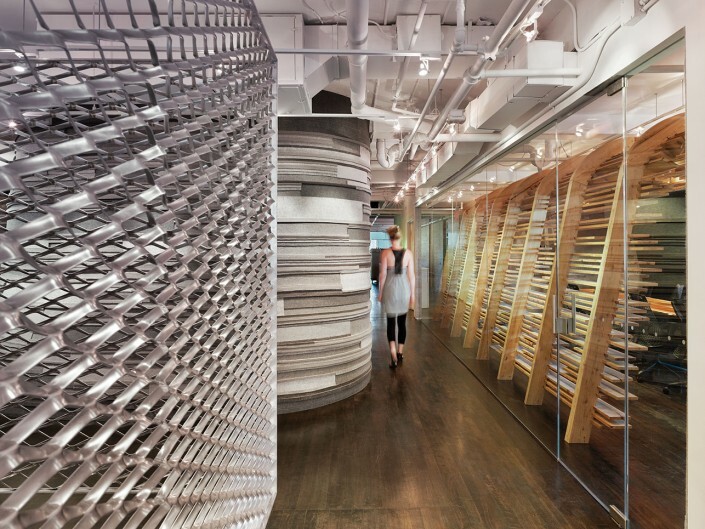 An aluminum mesh screen (similar to the mesh used in the New Museum in New York) divides the bar from the open workstations. 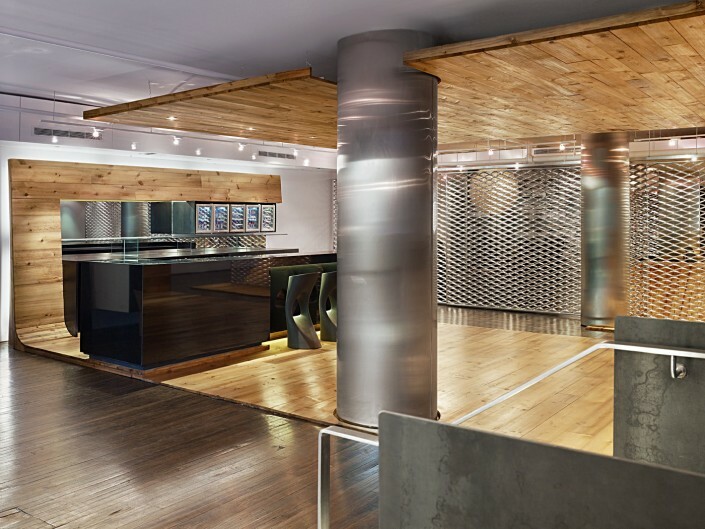 For public events the screens, suspended from tracks, slide to either wall to prevent entry. 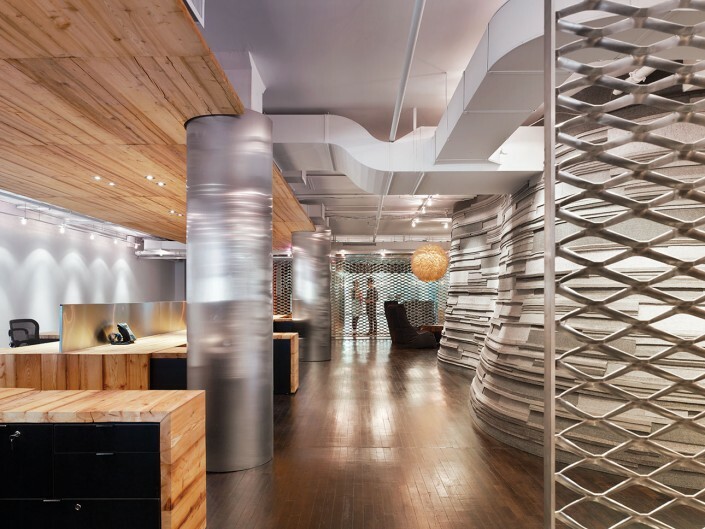 The custom workstations, composed like a ribbon, transforms from a floor surface to a work surface to a ceiling plane, providing colour, texture, warmth and a sense of enclosure. 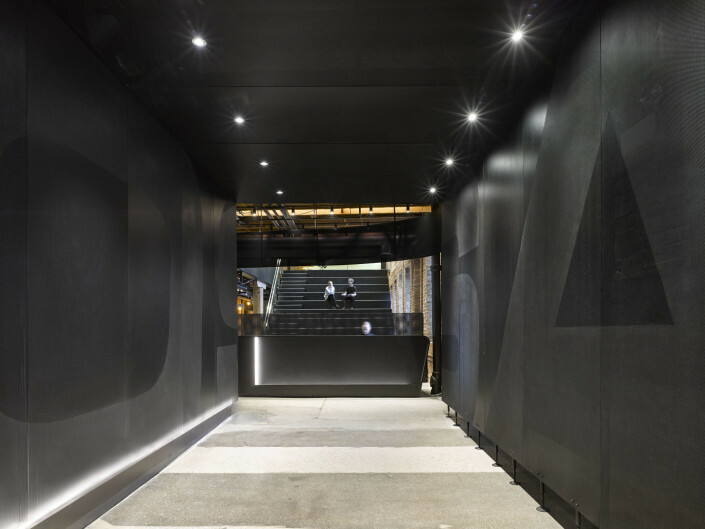 A defunct elevator core is re-formed and clad with varying colours and thickness of felt, utilized for its sound absorption qualities. 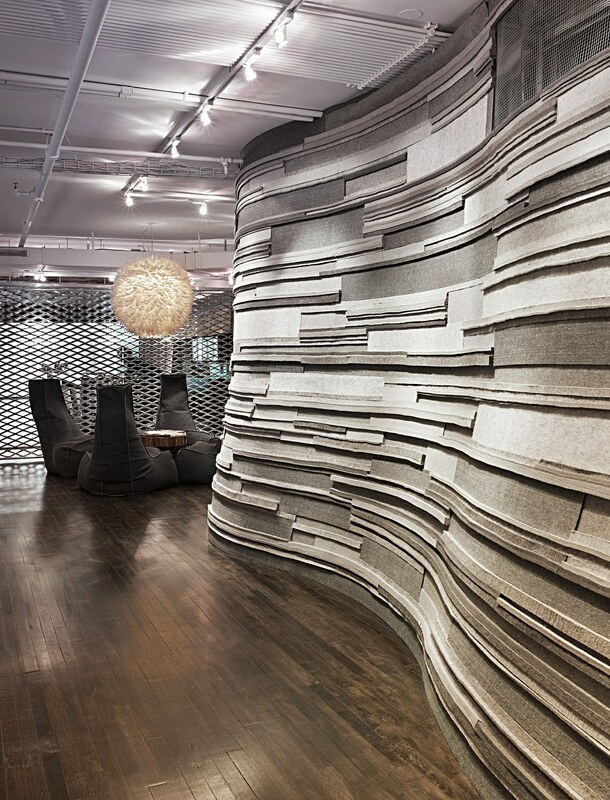 The organic form is evocative of the natural contours of a mountain or the muscular torso of a bull. 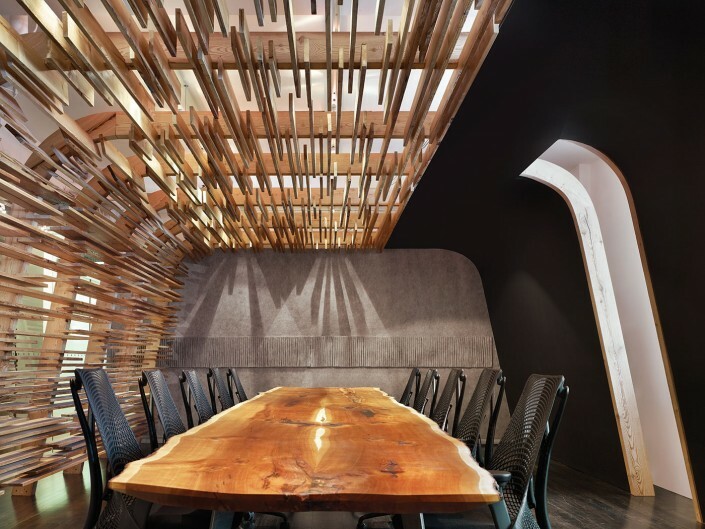 A new meeting room composed of felt, blackboard and tamarack wood strips positioned in a random pattern is another vessel or “primitive hut”. 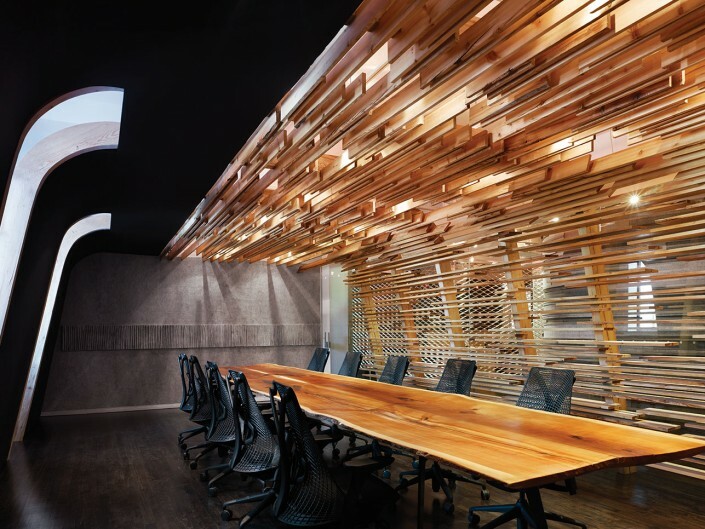 The lighting and the wood strips in the ceiling are intending to evoke the effect of light filtering through branches. 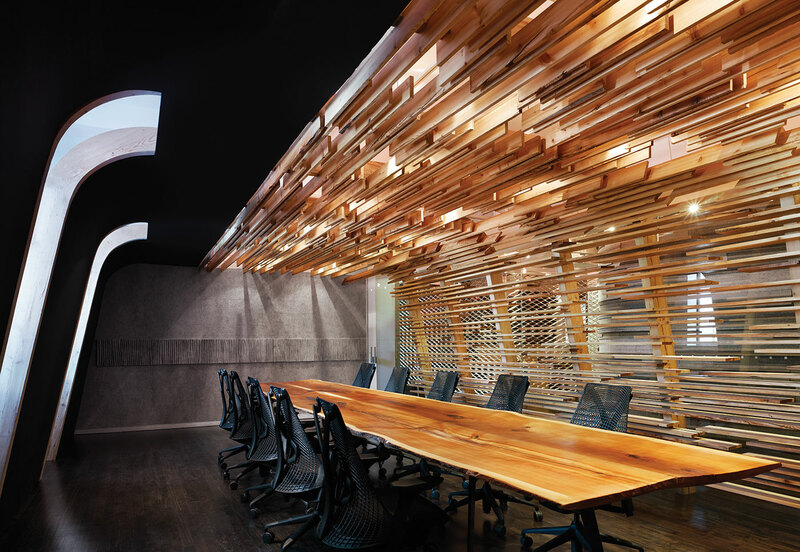 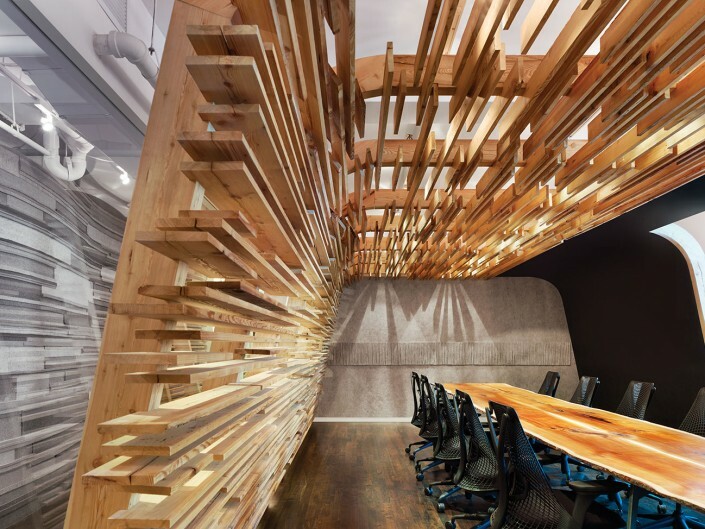 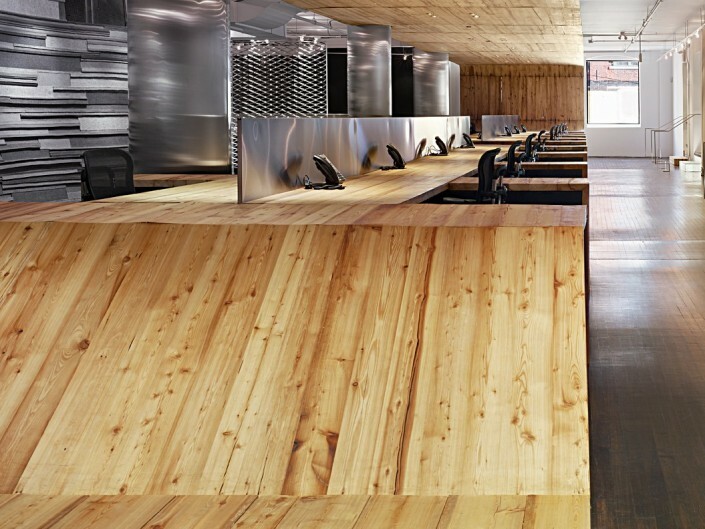 A long boardroom table fabricated from a cherry tree felled on the millworker’s own property anchors the space. 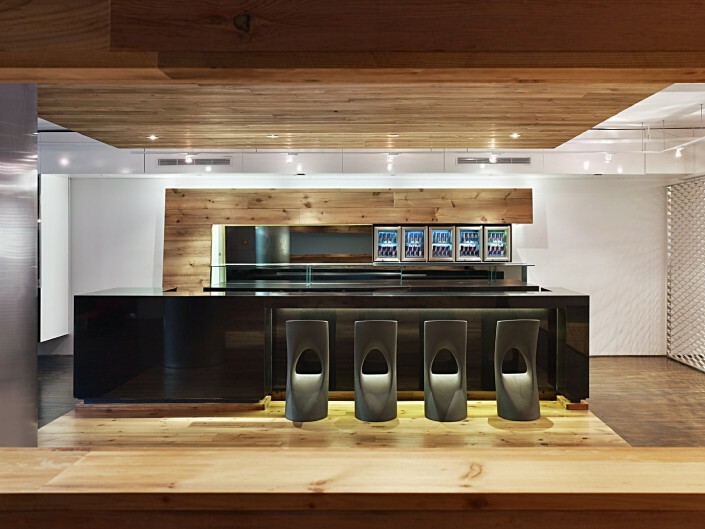 Private offices situated behind what was originally an exterior wall feature custom-designed workstations made from oak veneer that are similar in detail to the offices recently completed in the first phase.